A gallery? An arts for wellbeing Charity? A mental health charity?………….Yes! Some people do question what we actually are as a Charity as we seem to have a variety of strings to the old bow. Yes we do but we feel it all comes together under the heading of Creative Wellbeing, its just there are more than one way to achieve this. At it’s heart is a simple commitment to provide easy to access supportive creative opportunities for those vulnerable who need to begin to get out and be involved in society. Those who need to find a reason to be, a safe space where they are welcomed and not pressured. A place where shattered confidence and loneliness can be addressed. We have no targets, no demands, no expectations other than a person comes and feels welcome in our community. Our roots are in mental health and mental health is a big part of what we are involved with but it is not a defining statement. We find that many different illness and misfortunes result in similar consequences for the vulnerable adults we see. Whatever the cause social isolation, loneliness, reduced esteem and confidence, lack of friends, anxiety, fear, and many other factors are common consequences of many different situations. From a mental health problem to a serious physical illness, old age to unemployment, divorce to redundancy……the outcomes, through no fault of the individual, are often similar. We try to provide a safe, creative, supportive and welcoming space to help those individuals start the journey back to having purpose and being part of the community. We also are a gallery space. In the work we do, what better way to raise esteem and confidence than to have your work on show? What better way to develop a creative atmosphere than to be surrounded by amazing artwork? what better way to be part of the community than to bring the community into the space? What better way to challenge stigma and raise awareness? We also provide space for other groups. At the moment this includes a group for adults with learning disabilities, a message therapist, a meditation group, a dementia group, Adult Education Service, a Dementia Group and the local Mental Health Team run courses. Why should we have the space empty when we haven’t the resources to fill it when it could benefit vulnerable people through facilitating other groups which might otherwise not happen because of venue costs? The gallery is proving to have increasing popularity and I am already blocking in exhibitions and events for twelve months in advance. Exhibitions already in place or being planned include (in order of happening) Tracy Escolme with two of our service users, “In The Moment” Dementia group, an abstract art exhibition, a fundraiser for S2C and Leonard Cheshire, a book illustration launch, a project by local artists on a Wordsworth inspired book, South Lakeland Artists Community “Reflections” exhibition, Kendal Arts Community and all sorts of short one off events that display the very best of our creativity and that by artists in the local community. Community is inclusive not exclusive…..
Managers blog: Community is inclusive not exclusive…..
At S2C we try very hard to be open and inclusive for everybody. There are no criteria for coming to S2C. If you need to come then you are welcome to come, everything else is irrelevant. I find it disturbing that there seems to be increasing separation and need to qualify an individuals right to basic human rights. At times it is blatant and outrageous such as the blinkered and selfish response to immigrants (can we reclassify that term as “People who are desperately seeking shelter, food, friendship and safety”). There is, unfortunately, a massive stigma against individuals who through no fault of their own are seen as weak or needing help and support. It is becoming pervasive through our government and media who portray any kind of need as “sponging of the state” or “playing the system”. They look to justify cuts and make efficiency savings which do real and lasting harm to many vulnerable individuals. When this outright disregard for basic humanity comes from the top and is drip fed to us by the media it starts to become an accepted fact. fortunately there are those who pay no attention to this and do their best to help individuals in difficulty, who selflessly give their time, who strive to protect the vulnerable and give them a helping hand. It doesn’t have to be a massive thing, it doesn’t need to solve their problems in one go it is simply the small acts that accumulate and make those who are vulnerable feel part of our community. At S2C we do a very small part. We provide one of many services, each tackling and addressing different issues and problems in different ways. The sum of these efforts adds up to make the community here in Kendal stronger. When an individual states “S2C saved my life”, it is no joke. I can say the same about another charity for my own personal circumstances. When somebody says that it makes all the effort worth while. There is so much good happening in Kendal which many people in Kendal are blind to. Maybe they are blind to the individuals in need to. The people they walk down the street with who are struggling to cope, the person on the bus they don’t notice who is fighting suicidal thoughts, the person they barge past in the street frozen with anxiety. S2C are fortunate to link with, and work with, so many great organisations supporting people in the community. We always feel like we are not doing enough which is why we are aiming to expand what we do. In recent weeks we have increased the sessions we help at and run on the Kentmere Ward. We have been working with Cumbria County Council to offer a range of opportunities for our service users and to train our volunteers. We are working with Creative Arts and Scrapstore to collaborate on projects and share resources. We are working with South Lakeland Carers to provide new sessions aimed directly at carers. We are developing plans to help those individuals who are struggling with stress and anxiety in the workplace. We are making links with South Lakeland Mind to work collaboratively on projects. All this new activity is aimed at increasing the support we and collaborating organisations can give to those in need in the community. There is much more happening in Kendal. The Kendal People’s Café starts on Saturday 25th March at the Foyer aiming to bring the community together and help give a good cooked meal to those who are struggling. A great example of community. All this activity can help make Kendal a place where those in need are not sneered at or belittled but are helped and supported. What can you do? Close to the edge…..round by the charity…. I often get to talk to lots of people involved in charities. It’s a fantastic thing that so many people give their time and efforts to help people who are genuinely struggling and the ways in which local communities come together to support the charities as well as in time’s of need. No better illustration of this is available than the efforts of the local communities after the floods in 2015. This is how it should be. A mix of Government, local authorities and the public working together to overcome a crisis. I bring this up as I have had three conversations this past week with people involved in the running of local charities. In each case there was glowing and overwhelming praise for the support they receive, the volunteers and the people they help. Alongside this however runs a current of fear because all of those charities cannot predict that they will be secure beyond six to eight months ahead. It seems we are all doing it, furiously treading water to keep our heads above water, constantly looking for the funding to ensure that the vulnerable in our society are helped. We need funders to look more to funding core running costs and less on short term projects. The sad thing is, increasingly, charities are taking on an increasing work load as austerity and cuts slice through public services. Efficiency savings in reality mean a reduction in support and funding for frontline services to support the very vulnerable. Again and again we see the good work being done by so many charitable organisations being pushed to the limits. As a charity I am always happy to support the individuals in need who we come across. There are times when it feels very much like we a slipping into a vacuum caused by the removal of a funded service to do the best we can. If you sit and talk to the vulnerable then you hear some really desperate accounts of the situations they find themselves in. I must point out that this in no way reflects on the staff of the organisations that support them. They are often working under intense pressure with increasing caseload and poor resources. Never mind investing in the future we appear at times to be sweeping problems under the carpet, the trouble is at some point in the future society is going to trip over the bulge in the carpet. What does it take to be a good S2C volunteer? Managers Blog: What does it take to be a good S2C volunteer? This is an important message that existing volunteers and those interested might benefit from reading! A good question indeed. Partly because there are many different roles at S2C developing. 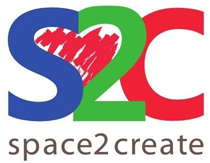 In the coming months S2C is looking to do more in terms of adding extra groups, being more open at weekends and evenings as well as moving beyond Kendal. We are talking to a number of organisations who also support vulnerable adults about running sessions with them at our unit, we are also looking at adding in another drop in sessions as well as a possible expansion to run a group across in Barrow. We have already added an extra session we are involved with on the Kentmere Ward in Kendal too. This all will require volunteers to help and support the service users as well as to take on the other roles around it that help run, fund and manage. But what sort of thing do we need from our volunteer? What can we give back in return? Some volunteers will come with a particular skill that they wish to share or use, this could be admin or fundraising for example, roles with less contact face to face with service users but all part of the work to help support them. Some, indeed most, want to be in the action as it were, directly working with service users. This has often proved hard to manage as we find some days in the drop in’s not many service users turn up but we have lots of volunteers than other days where loads of service users turn up but hardly any volunteers. That is why we are updating our volunteer procedures to have more specific days and roles alongside introducing a training programme to ensure that our volunteers are suitably equipped to work alongside the vulnerable people we help. So what does make a good volunteer. Lets consider our most common type of volunteer. Those who help out at sessions and support people. It is important that people understand the nature of the problems facing our service users. There are so many different illness and conditions that it is difficult to define for everyone but there are shared and common effects that we must and can easily accommodate. Individuals coming to S2C are often coming on the back of being in hospital, or having had a long time being isolated. They are nervous, jumpy, scared, feeling isolated and often in a very dark place. We find that they need to be with people but are very sensitive about being with people. Things to consider are the atmosphere and environment they are coming into. Sound plays an important part of this as we have, through personal experience and discussion, found that loud noises, loud talking and laughing, music, unexpected sounds all make the people with us feel very uncomfortable. Things like that can trigger that in-built human fight or flight mode more they will either leave or become very withdrawn and defensive. people are sensitive to pressure, sensitive to what people think about them. It can be very difficult but our volunteers need to be aware of the effects their actions can have on a vulnerable individual even when they mean well. So we need our volunteers to be calm. Remembering that it’s not about them, they are there for the people we support so they should be the focus. Talking in quiet way, thinking about how the group interacts, not talking across people or shouting down the length of a table. You also need to use your judgement carefully. Does the person next to you want to talk at all or do they just need you to sit beside them and work alongside them for the reassurance it gives? We ask our volunteers to join in the session, creating alongside the service users, gently engaging, keeping things calm, not bringing challenging or controversial issues forward. Listening is an important skill. An ill and vulnerable person dealing with a serious condition does not need to hear all about your personal woes or achievements. They need the space to relax, be free from pressure, to talk if they want to or need to. Sometimes that quiet talking might turn onto more serious issues and then we encourage our volunteers to either remove themselves and the service user from the room to talk more privately or to ask a more qualified support worker to help them and chat. The things you say to a vulnerable person must be considered. For example the artwork they are creating. We have service users with a wide range of ability and people will be very aware of what they are producing in terms of how it looks. We don’t want to build up false expectations or to embarrass. We make it very clear we value anything done as an achievement because for some getting through the door is a massive achievement. Saying loudly that a piece of work is lovely from across the table is more likely to make an individual self conscious or pressured. Praise should be genuine and descriptive, saying well done for attempting a particular technique or picking out something that is showing that they have taken on the session leaders instruction, a use of colour or a style. A lot of what happens during sessions is very subtle and sometimes new volunteers can miss the effects of what they are saying or doing is having on individuals. If one person in the group is becoming distressed volunteers need to pick it up and take action. It’s not as simple as it sounds. Come along and join in the session yes, but be very sensitive to the needs and issues faced by those in the group. If you feel you can help us then please do get in touch. Volunteering is rewarding if hard work. We now aim to help train our volunteers with the skills they need but also to help them develop their skills further and for our volunteers to have opportunities to gain new skills they may find of use as they move on in their careers. A large number of our volunteers have after a period of being a volunteer, moved on with our blessing and support into new jobs, education or roles with other organisations.